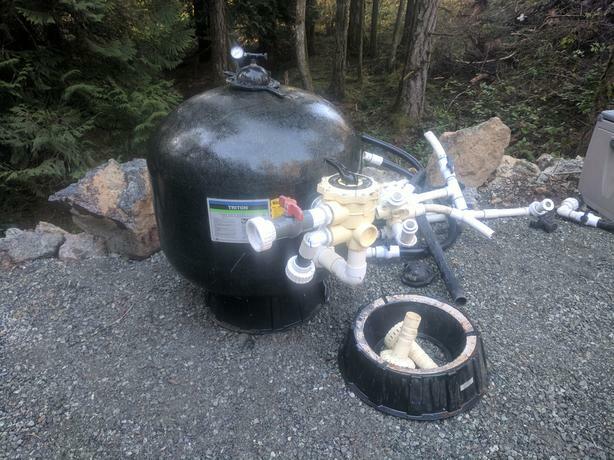 Triton Sand filter model TR-140 large capacity. Complete with dial and base. Lots of extra fittings and spare parts. You would have to pay over @2500 to get a complete set up like this. This unit is is great condition and was used until recently.